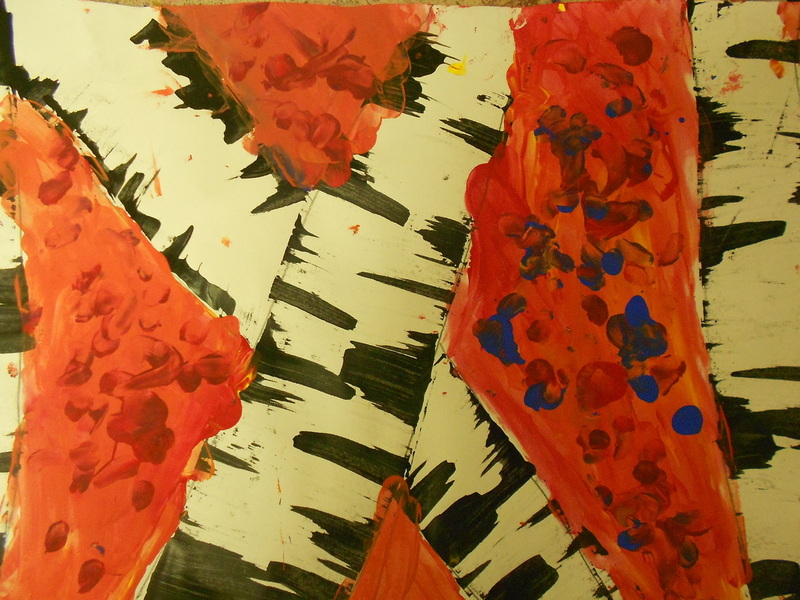 Students composed a forest by overlapping trees. 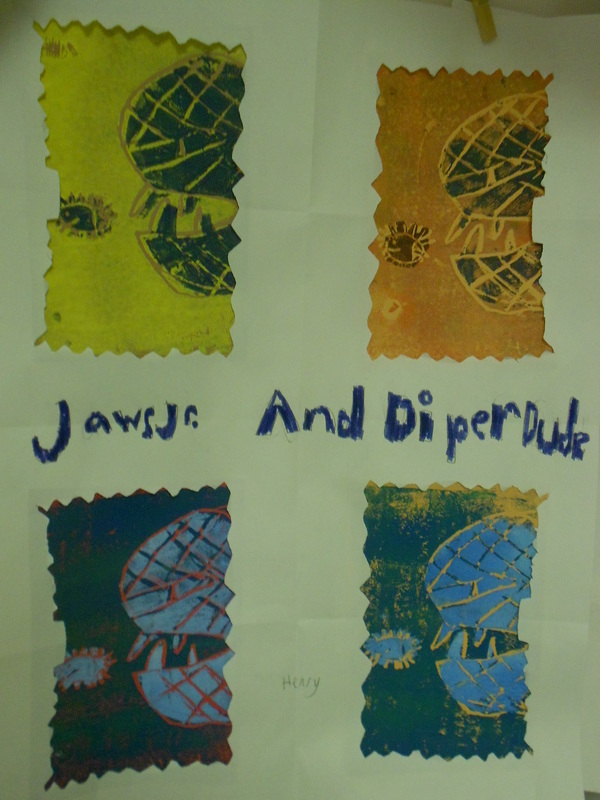 They created a birch bark texture using a special painting technique. 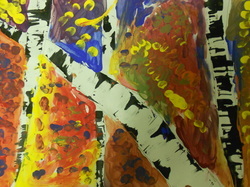 Lastly, students added a background of fall colors. 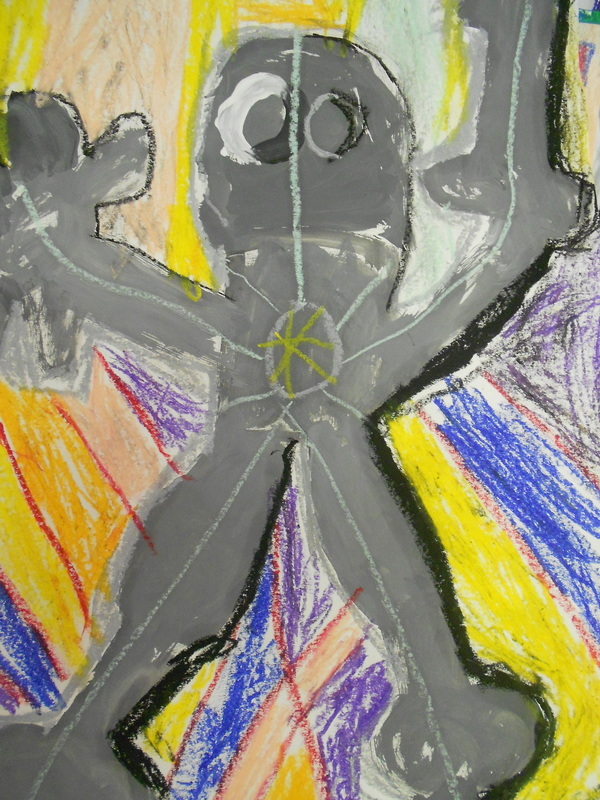 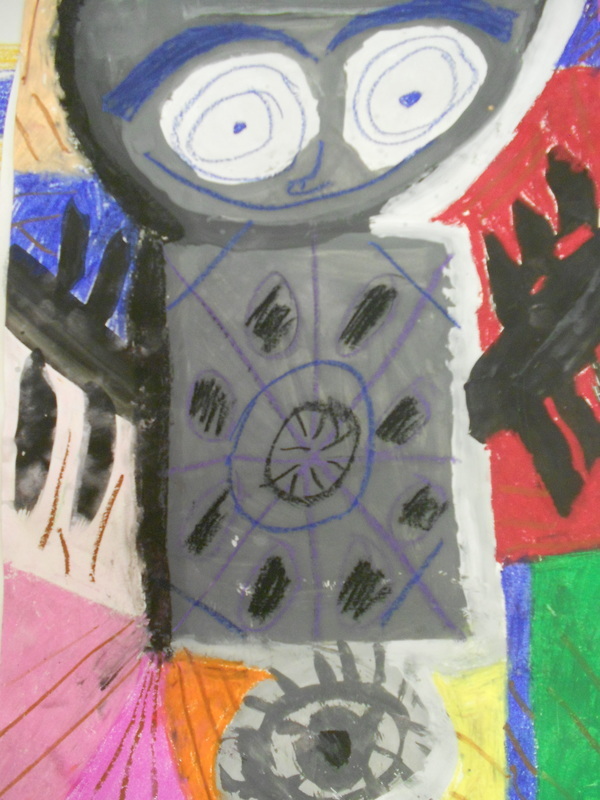 Students were introduced to creating form (3 dimension) by using different values (lights and darks). 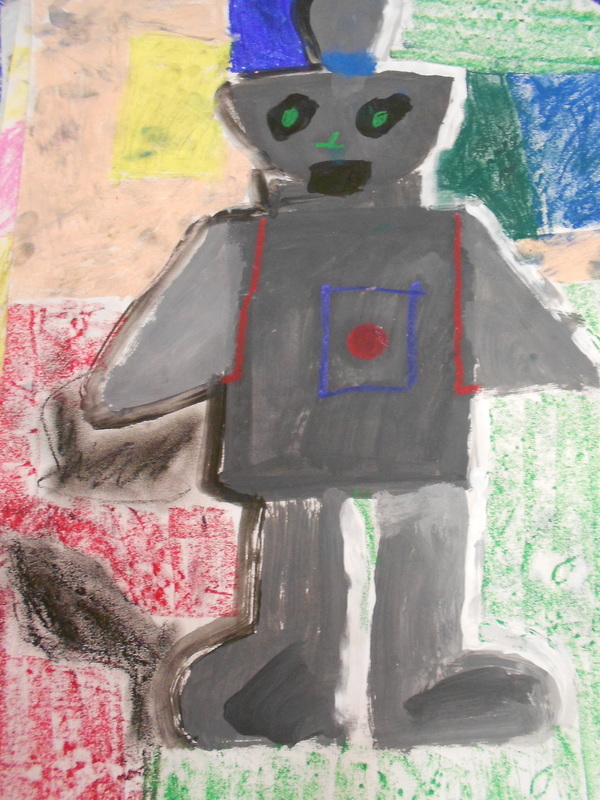 They painted their robots with different shades of gray, and added shadows and highlights to make them pop out. 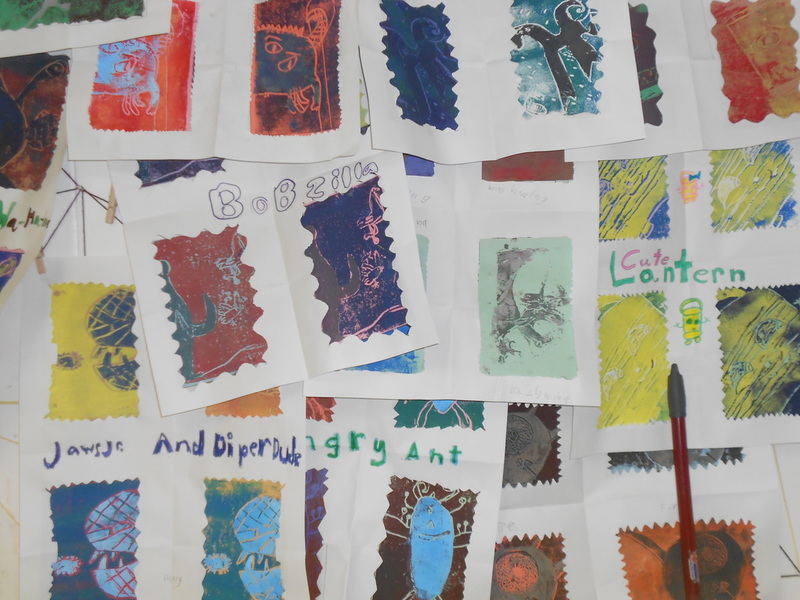 Students designed monsters, then went through the lengthy process to create four reduction prints. 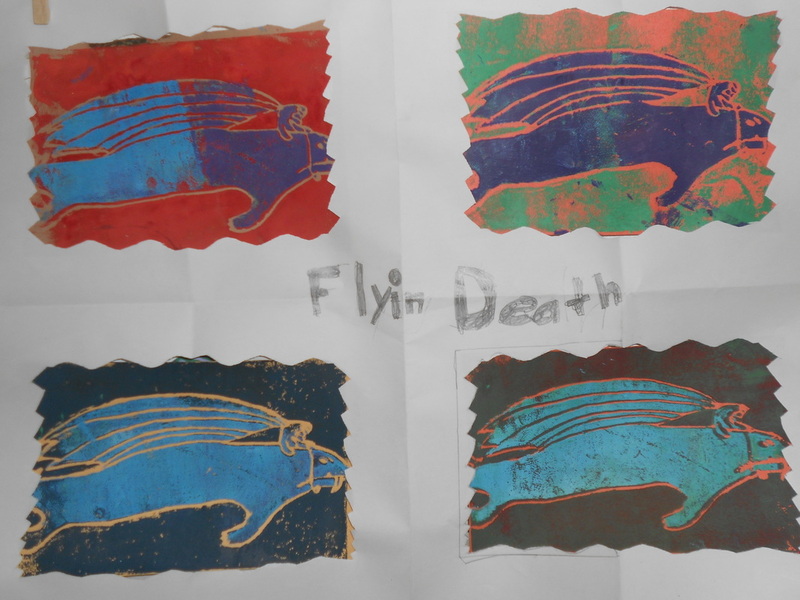 A reduction print is when the image is printed several times and taking away part of the image to expose colors underneath.